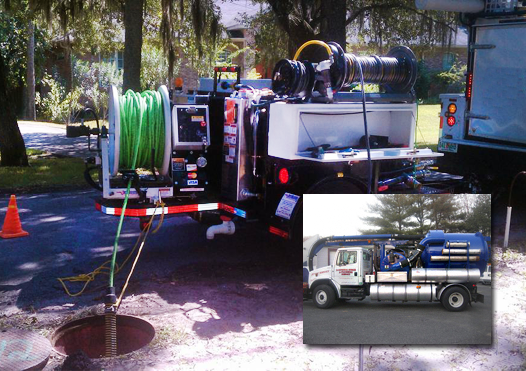 When a blockage is found by our video pipe inspection, our first step is to employ our jetting services. Jetting is a process that uses high speed / high pressure water to clear blockages in pipe systems. Once a blockage is found, jetting will solve the problem and afterwards only routine maintenance is needed to keep the lines free and functioning properly. Pipe buildups grow much the same way as arteries get clogged from years of poor diet, building slowly and slowly before an eventual clog forms. The most common buildups include sand, grease or silt and are easily removed with jetting. 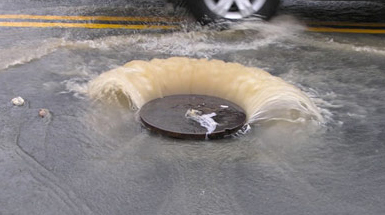 A-General Sewer and Plumbing Service offers jet-vac units for both sanitary and storm drains. Don't let this situation happen to you...Call A-General today !